Being a lover of charity shops, I am not particularly attached to high street shopping, but I am absolutely gutted by the news this week about Habitat. Ever since I got a pay packet and a place of my own, 20-ahem-something years ago, I have always shopped in Habitat. Not for everything - they're not cheap - but for big things I know will last, like my bed and my sofa, and also for little decorative bits. 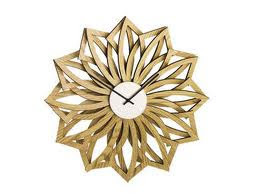 For my last two birthdays my lovely friends have all clubbed together to get me Habitat vouchers, and when I moved house they got me this stunning clock as a house-warming gift. 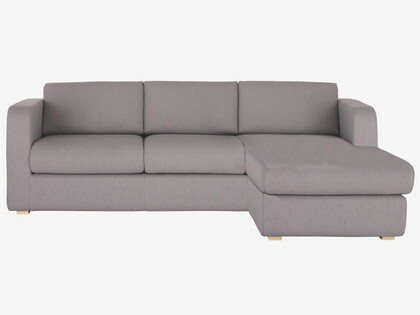 This sofa is wonderful - it seats 4 really comfortably, although I have to admit I love it when I have it all to myself and can stretch right out. The idea of the Habitat name being taken over by Argos and Homebase makes me cringe. Worst of all, though, is the thought of all the lovely people who will lose their jobs. The assistants in my local branch are so friendly and helpful. I know that eventually I will console myself with the thought of the massive closing-down sale that they will be having, but at the moment I just feel sad. Yeah it's a shame as they have some lovely stuff. Suppose they struggle to compete with Ikea. We have the two seat and armchair of that style of sofa too! Very comfy. Another one bites the dust. Shame. We had Habitat couch and chair in our first home. Happy seventies! I agree, it's a real shame. I used to work round the corner from a Habitat and I was always in it.